The way consumers get the products they want has changed. From simpler times of barter and exchange to convenient front door delivery. Online shopping has increased the variety of products available to an equally as wide customer base. More stuff to more people. Now, customers are demanding more fulfillment options. Retail and e-commerce are battling it out for customers, and ultimately sales. Before e-commerce could take off, customers had to trust the internet. Was it really safe to provide your credit card number, billing and shipping address? Today, most people feel their information is secure and the process is quite normalized and favorable. Since this time, retail is struggling more and more to get people into their stores. 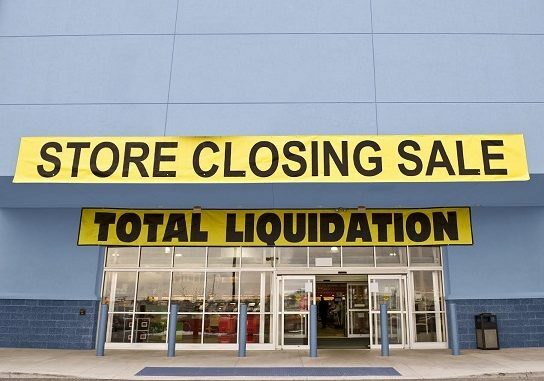 Malls are dying and big stores are closing; Sears and Toys“R”Us being among the most notable thus far. Retailers have to recognize changes in customer preferences and transform to meet their needs. One way they are doing this is by offering more fulfillment options, and strangely enough, brick and mortar gives them the leg up. It’s called BOPIS. Buy Online Pickup In Store. A Doodle study shows that 68% of shoppers use this fulfillment method of “click and collect.” Of those, 85% make additional purchases while they are in the store picking up their order. Why would consumers shop online and still go to the store when it can be delivered directly to them? The answer is cost. People do not want to pay a delivery fee. BOPIS allows consumers to avoid the extra cost. This is because the fulfillment method BOPIS means the product is sitting on a store shelf, an employee picks it, and stores it behind the customer service desk. No third party shipper is involved. Without a physical store, online stores are limited to priority ground, express, overnight or some other time frame. The quicker you want it the higher the fee. Brick and mortar stores have another fulfillment option exclusive to them that is not as convenient for customers, but it is still free. This method still allows customers to pick up in store, but the items are not sitting on the shelves. These items are sitting in a warehouse or get delivered directly from a vendor. This means the customer still waits for 2-day shipping, or longer depending on the product. But it’s free. The logistics process is as follows: place order, warehouse/vendor processes, delivered, notification of arrival, pick up, buy more stuff, then go home. Retailer’s customer experience strategies continue to develop around BOPIS and other click and collect methods. Home Depot for example has lockers in many of their stores, so online customers can access their orders without waiting for an employee’s assistance. Amazon has also set up lockers in Whole Foods, college campuses and various other locations, but the grid is still not as vast as that of Home Depot store locations. Lockers allow customers the security that packages won’t be stolen from their porches and the convenience of picking up when it fits into their schedule. All this to meet customer’s demand for cheap and fast services. But at what cost? Zero fees or reduced prices are not sustainable business strategies. Sure, customers are likely to make additional purchases using BOPIS, but is that enough to cover the transport and handling costs, capital investments, and months of market research? There is also the constraint of store shelf space. Not every item can find its way into limited store space. 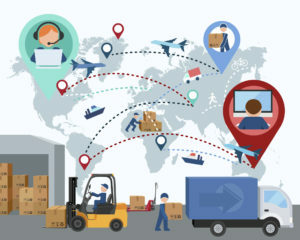 According to Tompkins blog, fulfillment from the store shelves is more costly than fulfillment from warehouses and fulfillment centers in the companies network. The blog also states that businesses should not lose out on a sale because of this factor. For the time being, brick and mortar stores can provide fulfillment services that the online stores cannot. Not knowing future customer demands, this may be a short lived benefit of retail. Perhaps the solution to retails fight against e-commerce is if you can’t beat them, join them. 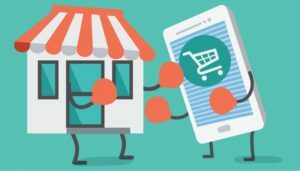 In a situation where a retailer’s products and services may be complementary to those of an e-commerce’s offerings, one could find a partnership. As technology develops, the lines between store fronts and the websites could start to blur.